Eurovision, one of the longest-running recurring television broadcasts in the world, is back for another year! All over Europe and beyond, countries send in acts ranging from incredibly talented to particularly surreal – or sometimes both, like Finland’s Lordi. But behind the flamboyant and quirky stage shows is the very thing the contest is built around: music. At The Insurance Emporium, we’ve gathered these facts on the music behind the Eurovision Song Contest. From the first Eurovision Song Contest in 1956 until the 1998 contest, the host country had to provide a live orchestra for the contestants. However, backing tracks began to gain popularity after they were permitted from 1973 onwards. Once it was no longer mandatory to provide a live orchestra, Israel was the first country to choose not to when it hosted in 1999. Nevertheless, viewers can rest assured that all vocals must still be performed live. 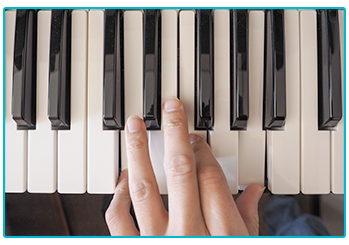 For any composers making songs for the contest, there are various rules they need to follow. Among these is that songs can only be a maximum of three minutes long. Finland’s 2015 entry, Aina Mun Pitää, holds the record for the shortest song at only 1 minute and 27 seconds. 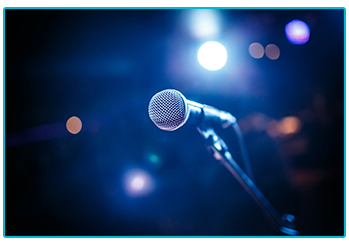 No purely instrumental compositions are allowed in the contest, although a cappella performances are allowed. Latvia’s 2006 entry and Belgium’s 2011 entry were both performed a capella. While many Eurovision songs are peppered with cheesy lyrics and often themes like love and peace, the more successful music tends to sound kind of moody. According to a 2016 article from the New Statesman, 12 of the 16 winning songs between 2000 and 2016 were played in a minor key. Also, while key changes are a well-known trope of Eurovision, none of the winning songs have included one since 2007! Behind every performer at Eurovision, there is a songwriter creating the music that could hopefully lead them to victory. One of the most notable songwriters for the contest is Ralph Siegel, who has had 24 of his songs performed in the contest. In 1982, his and Bernd Meinuger’s song, Ein bißchen Frieden, was the winning entry. It was performed by Nicole for Germany. Of course, the entries are nothing without endearing singers and some of this year’s entrants are no stranger to the competition! Previous winner Alexander Rybak returns for Norway with the track That’s How You Write A Song. He won in 2009 when he sang and played violin on Fairytale, which he wrote himself. SuRie is singing for the UK with the track Storm. She previously flexed her musicianship skills for Belgium as a backing singer in 2015 and a musical director for their 2017 entry. From cheesy pop to serious ballads to hard rock, there is a lot going on musically at the Eurovision Song Contest. 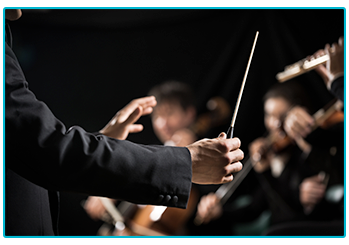 If you’re a musician, no matter what style of music you play, we could insure you at The Insurance Emporium. Our Music Insurance policies include such Standard Benefits as Worldwide Cover for up to 90 days per year* and new customers could also get up to 25% Introductory Discount^. If this could score 12 points with you, visit The Insurance Emporium today! *90 days per year Worldwide Cover is available on lunar monthly policies only. Yearly policies are limited to 60 days per year. ^25% Introductory Discount is only available for the first year of new policies.